In honor of winning the Liebster Award this week, I decided for today's Five on Friday list I'd tell you about some other memorable prizes I've won. 1. 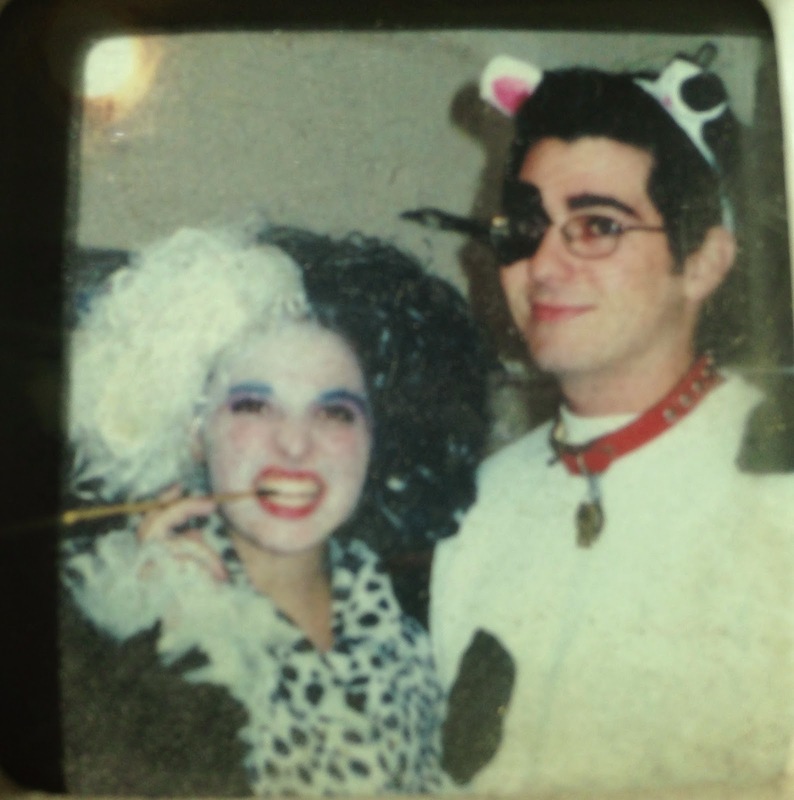 Pre-kids Daddy-O and I went to a restaurant/brewery on Halloween dressed as Cruella DeVille and a dalmatian pup. We won a nice gift certificate to go back there to eat sans the costumes. 2. Okay. I didn't win this one, not really...but I was in a very small rinky-dink talent show when I was very young, maybe about five years old. I had a very large stuffed dog and sang my heart out to "Dumb Dog" from the movie "Annie." Everyone loved me but I didn't win. So many people came up to my mom telling her that I should have won that my Mom made me a badge saying "People's Choice." So I didn't really win that one, but it was pretty memorable. 3. Several years ago at the high school tricky tray I kept winning all sorts of stuff. I don't remember all of it but I do remember one of the prizes was a SpongeBob skateboard with matching helmet and elbow pads. I didn't have any kids with me and it was at the height of SpongeBob-mania so all the kids that WERE there were staring at me with jealous disdain. 4. A gift card I don't remember entering to win at last year's Foster and Adoptive Families holiday party. I love me a good gift card. Wait. Did you say there's a show called "Matricide"??? :) You rock SO HARD!